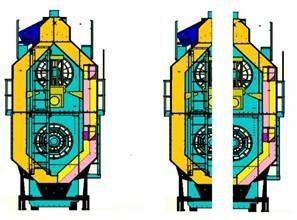 The innovative design of Teco Co. dryers and their drying system is nowadays recognized both in the domestic and international market which helped the company become a leader in this field. Teco Co. annual production capacity leads the market: 321 drying equipments (850 modules of 20 tn / H) that achieve a capacity of 17,000 t / h of drying. The design of Teco Co. drying system can also be called mixed flow, because it combines the existing systems of columns and trestles. 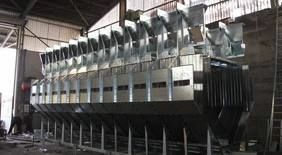 In these types of systems, the product to be dried goes down through columns (without perforated sheet) that have half trestles inside. This combination generates a zig-zag movement of the dried grain, which is accompanied by air at high temperature during a section of the columns, followed by a zone of tempering in which there is no air circulation inside the grain mass until it is crossed once again by another stream of hot air. 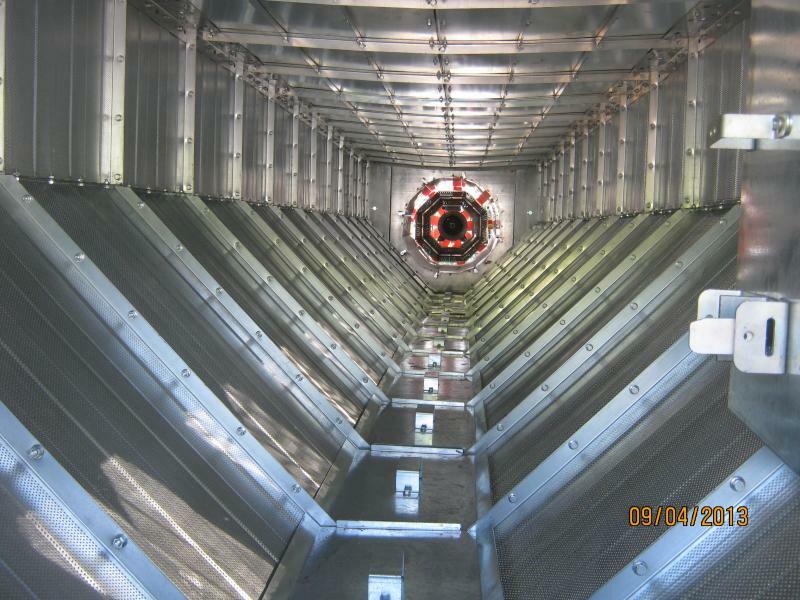 These "flashes" of exposure to heat and waiting times occur several times as the grain goes down through the columns of the dryer. 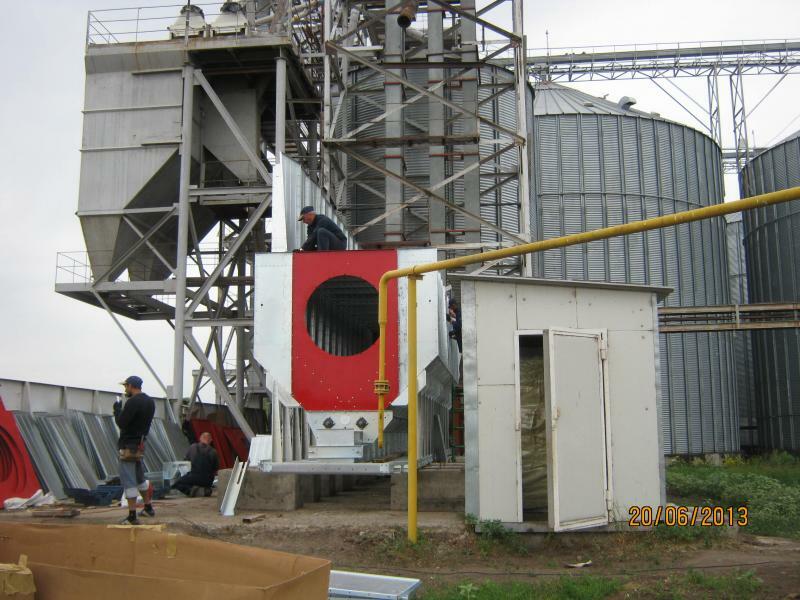 Teco Co. grain dryers can get an even drying with minimal energy consumption. The grain mass descends on a zig-zag way into the column and when the grain is performing its ratation movement it is surrounded by an even stream of hot air. This air boosts energy transmission and absorbs moisture. 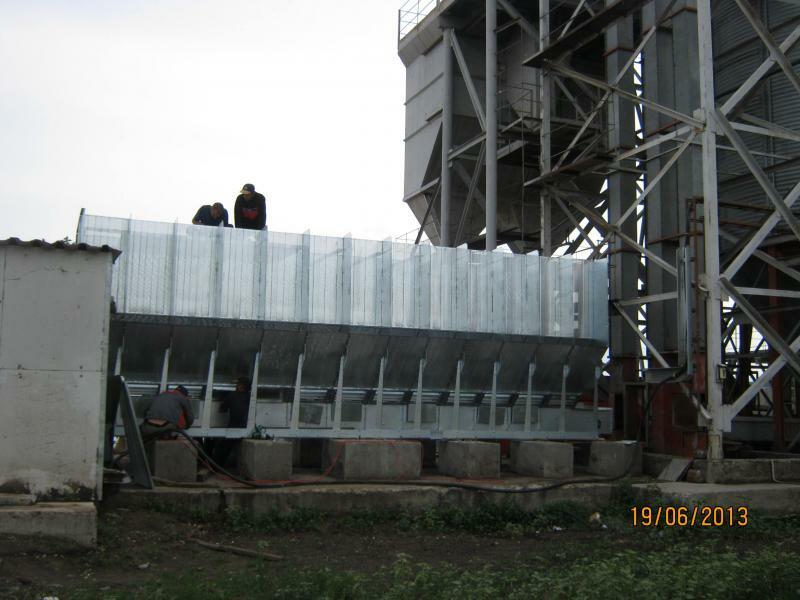 As a result of this efficient operation, the output of grain ton in process is highly increased. Teco Co. has developed a simple and reliable system that prevents the formation of bindings or potential sources of ignition. 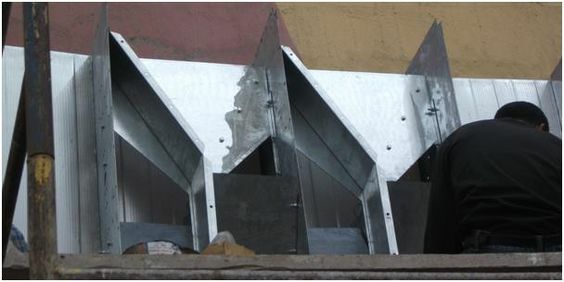 As no interference occurs in the grain fall during the drying process, a part of light particles fall on the discharge hopper, while the remaining particles are directed towards the fans, which lead them to the light particle collection system. 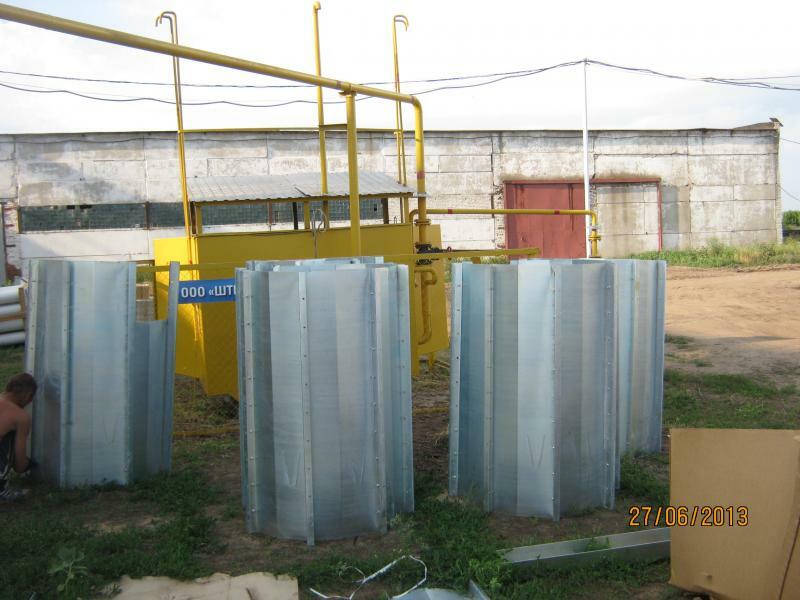 This design ensures a drying body with no interferences at all. 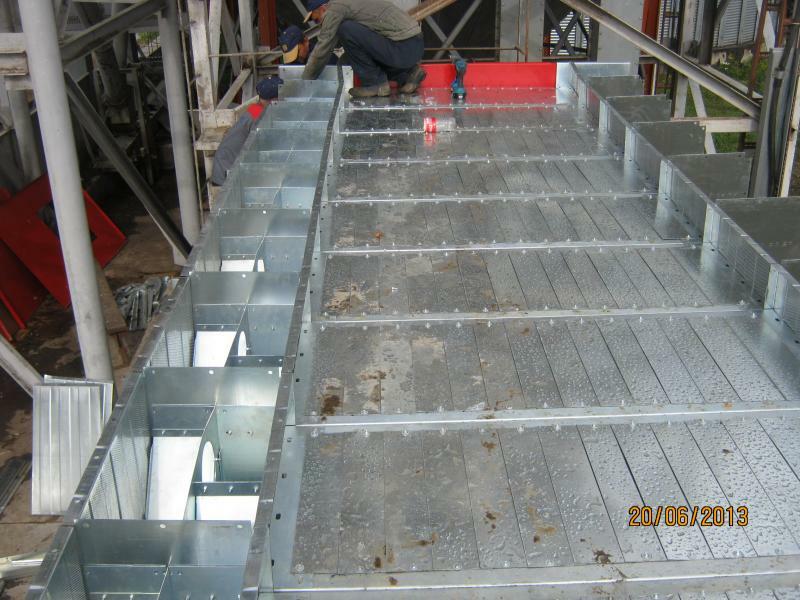 Teco Co. discharge system, with its exclusive sweeping plate, guarantees the proportionality of the tons to be discharged according to the regulation of the drying flow speed. This electronic procedure consists of the simple movement of a knob that increases or decreases discharge velocity. Teco Co. equipment prevents grain breakage and has minimum maintenance requirements and low electrical power (0.5 HP per 140 Tn of drying). 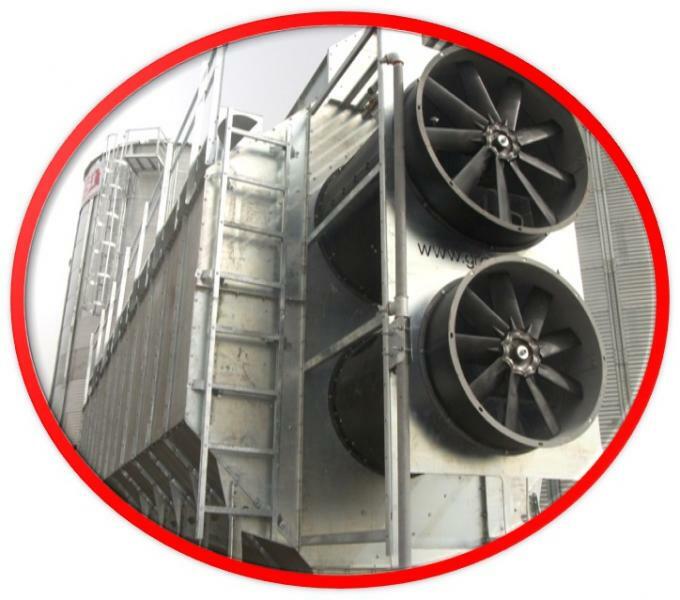 The original Teco Co. self-supporting module system makes the equipment capacity meet any particular needs. 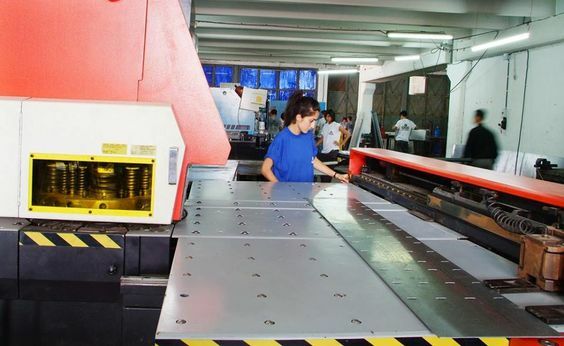 The equipment provides structural rigidity and scalability, that means that it can increase the number of modules through a practical and simple system. 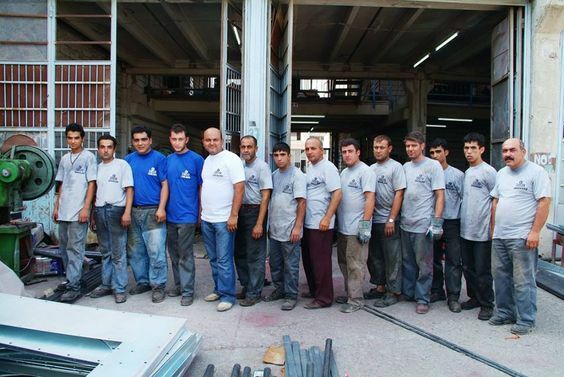 Teco Co. modular design guarantees a safe and fast assembly, which means that most part of the module assembling process is carried out on the floor. Once the modules are fully finished, they are lifted and placed using a crane, which drastically reduces any kind of height working. 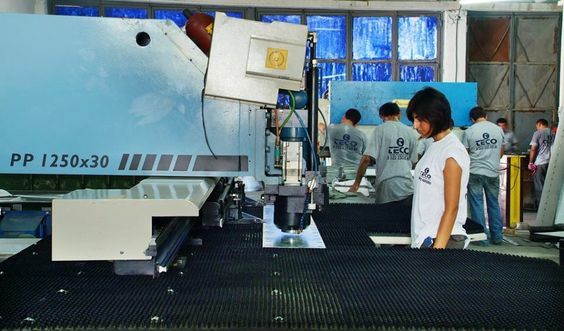 Rules adopted by Teco Co.
As part of the process of continuous improvement of its products and services, Ingeniería MEGA S.A. holds ISO 9001: 2000 (RINA) certfication as well as approvals for the operation of its equipment in different parts of the world: CE certification; Certificate of Technical Aptitude (Bureau Veritas Argentina); Certificate of Conformity (GOST-R); Certificate of Use (RTN - Burner Dryer); Epidemiological Health Certificate (GGTN); Internal regulations of the client; Fire protection networks (NFPA). This board can be integrated with the rest of the automation already implemented in the customers plant. 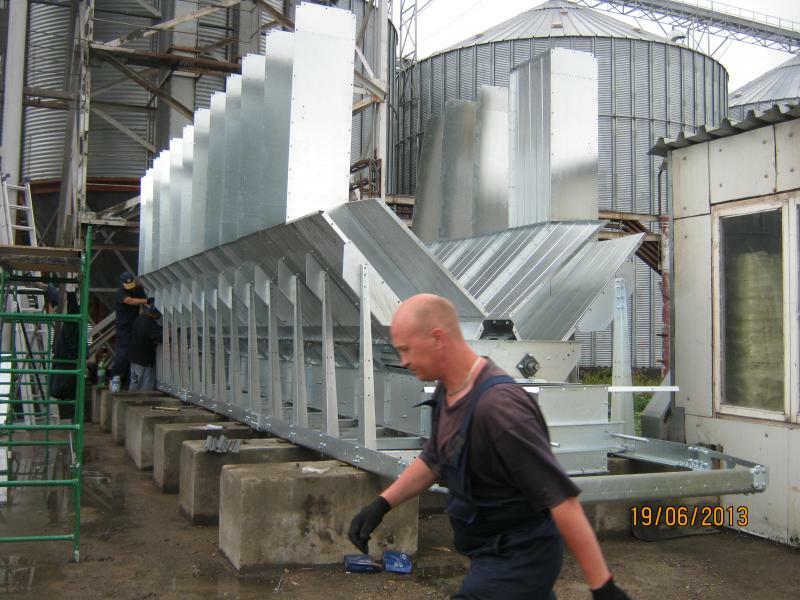 By incorporating noise attenuators in every dust separators, it is possible to reduce the noise level generated by the dryer by almost 5/50 dBA. 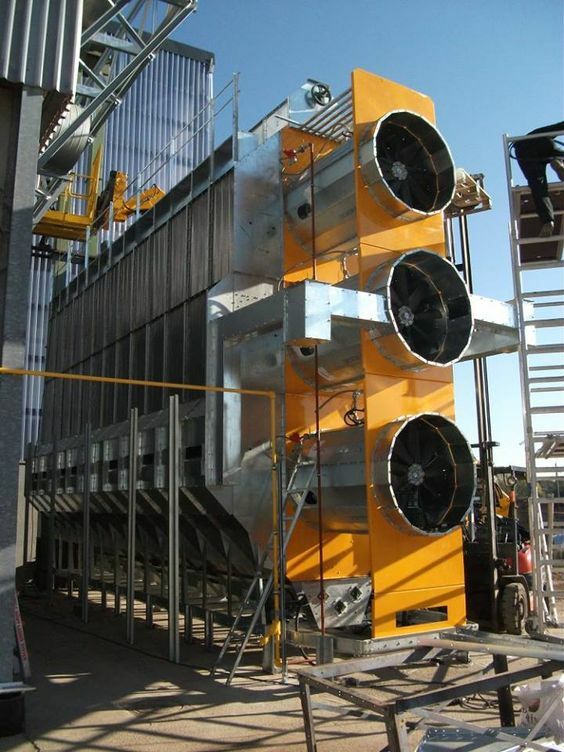 An important commitment of Ingeniería Teco Co is to reduce drying costs while preserving the environment. 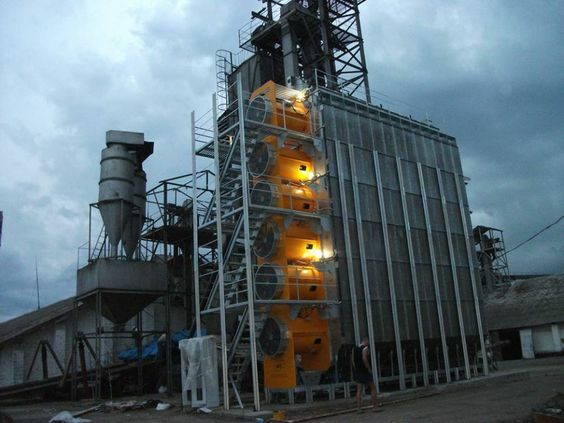 For this reason, each type of recovery is designed and calculated by analyzing in detail the internal and external factors of the drying unit, such as the weather conditions of the place, the type of grain to be dried, the drying maximum and minimum temperatures the process accepts, the fuel to be used and the heat generator, among other aspects. 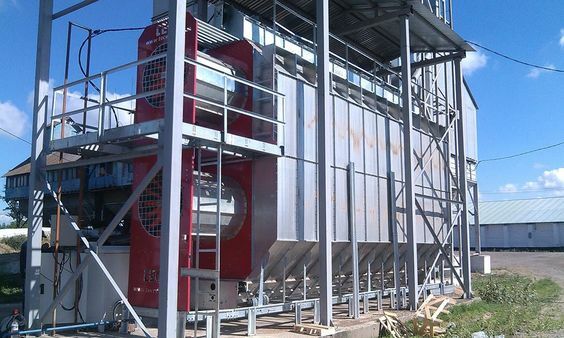 Teco Co grain dryers have heat generators that work with different fuels, such as natural gas, liquefied petroleum gas (LPG), diesel, water vapor, wood (wood chips or logs), biomass and others. 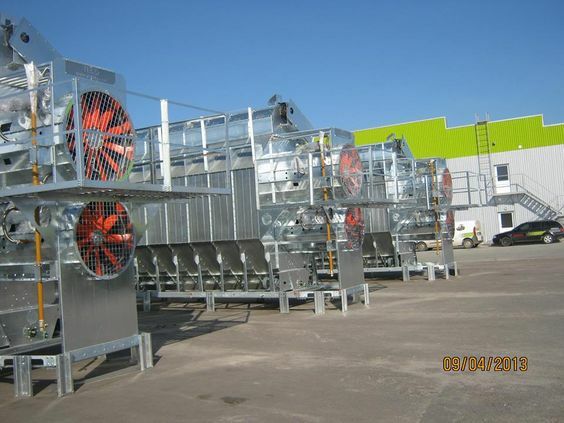 They are based on the principle of constant flow that ensures the constancy of the air flow at all operating temperatures, unlike traditional systems that regulate the temperature by choking cold air. 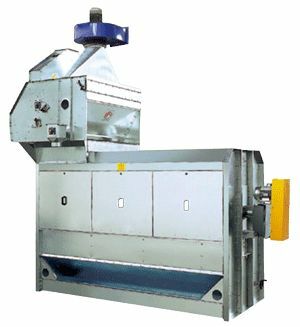 The principles in the design of these ovens are the easy operation and the simple maintenance, a minimum probability of sparks formation and a great durability. 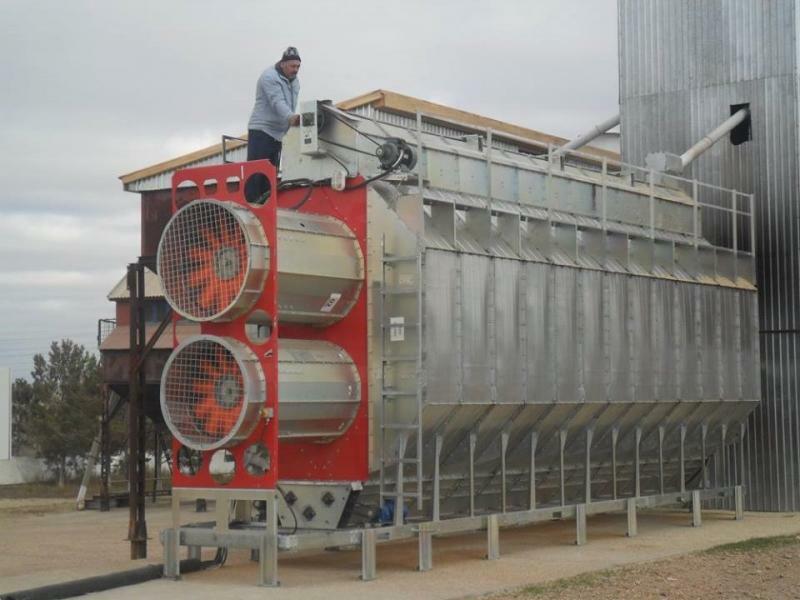 Teco Co grain dryers have heat generators that work with different fuels, such as natural gas, liquefied petroleum gas, wood chips or logs, diesel, steam and others. 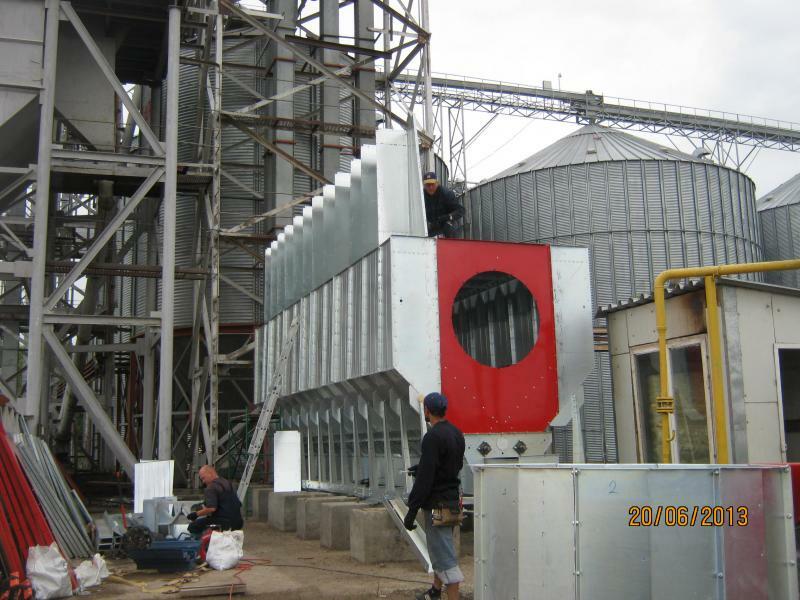 They consist of modular panels of carbon steel tubes according to Teco Co A-179 with aluminum strips in continuous helical form. 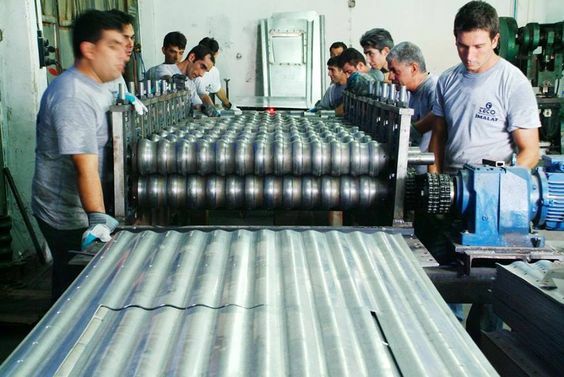 In steel tubes heat exchange takes place between the hot gases passing through said tubes (combustion products plus primary air) and drying air (outside air). These devices work indirectly, which means that the drying air does not contain combustion products, water vapor, ashes, gases, sparks, etc. originated by the burning of the fuel. 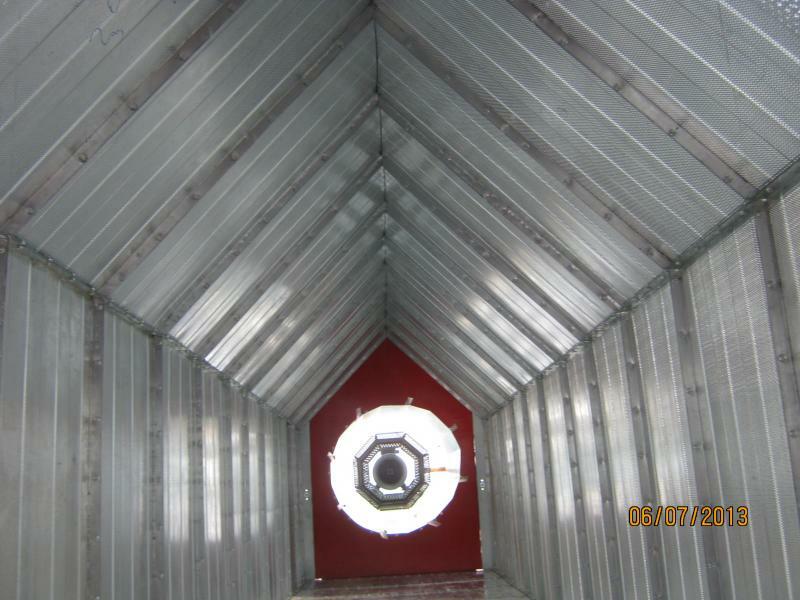 During the drying process, the outside air is in direct contact with the grain. For that reason, it is essential that the air has the lowest possible level of humidity and does not contain gases at all that can generate odors or any type of contamination.